Today you will be collected from your hotel at 09h00 for your tour. We start the day over a cup of coffee at Truth Coffee Roasting – a micro coffee roaster famous for its coffee and its steam punk decor. Over a cup of coffee we chat about the history of Apartheid. In order to understand the complexities of our people and the historic divisions, you need to understand the history. Next we visit the District 6 Museum. This is Cape Town’s apartheid museum. 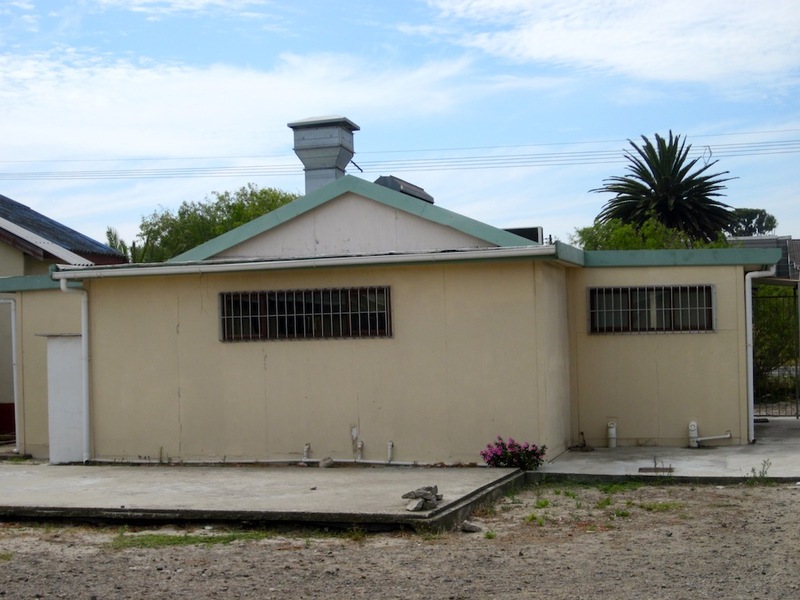 This museum represents the memories of a community on the outskirts of Cape Town where over 60 000 people were forcefully removed from the mid 1960’s to the mid 1980’s. The visit allows us the opportunity to discuss the impact of Apartheid on the community from District 6. Some of the students at the Cooking School in Langa – having fun learning to cook! From here we travel to Langa Township to cook at a small cookery school that provides the local residents with the skills needed to get jobs in the kitchens of the restaurants and hotels in Cape Town. 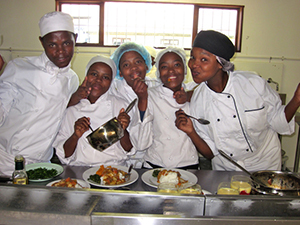 This is one of only a handful of full time cooking schools based in a Cape Township. 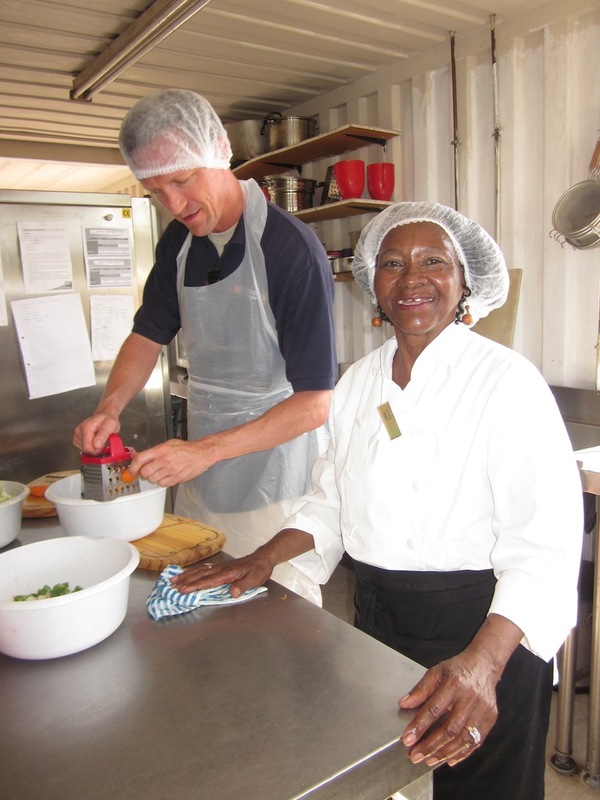 The Cooking School was “built” from shipping containers that were welded together. A local casino provided money to dry wall around the metal of the containers. 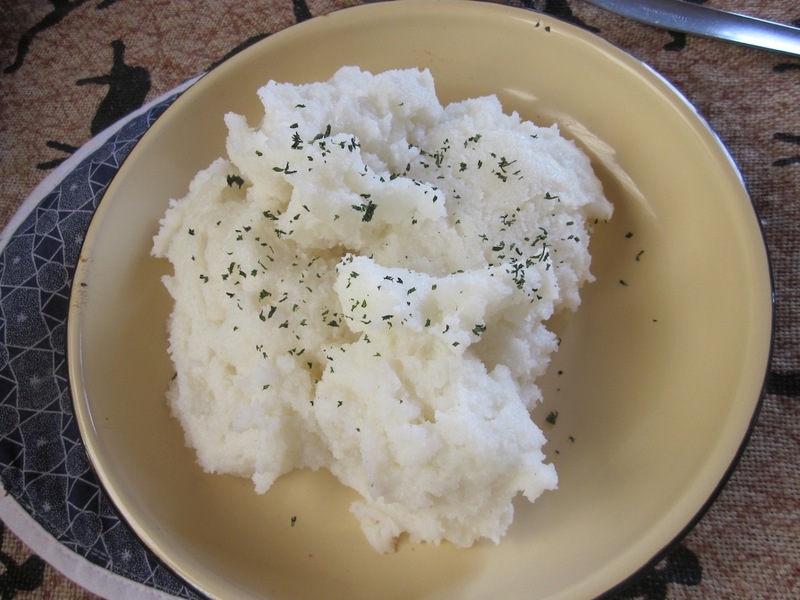 Pap – the staple of much of southern Africa is maize. This is a thick porridge – which makes it easy to eat with your hands and to dunk it into delicious sauces and gravies! 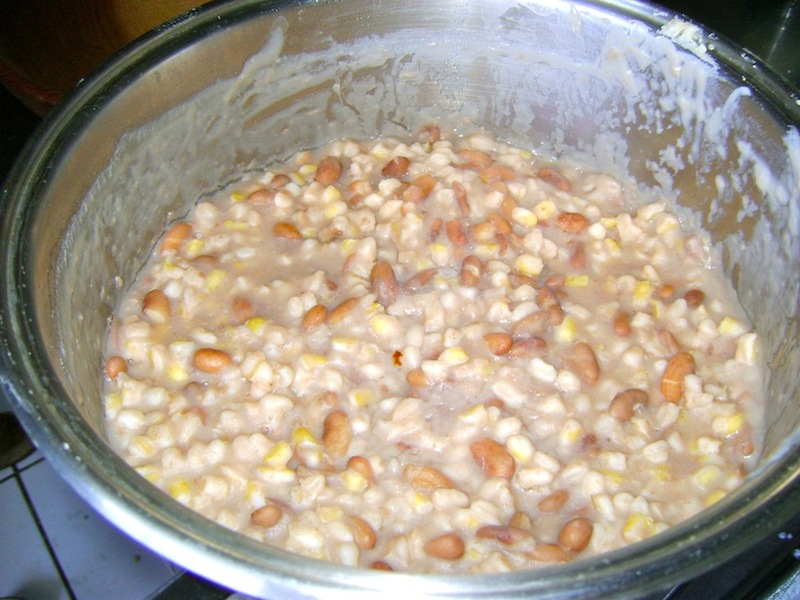 Samp & Beans – the staple of only one tribe – the Xhosa. This is Mandela’s tribe and wherever he traveled in the world he took his chef to cook him his Samp & Beans. Samp is simply dried cracked maize cooked slowly with sugar beans. It takes about 4 hours to cook! 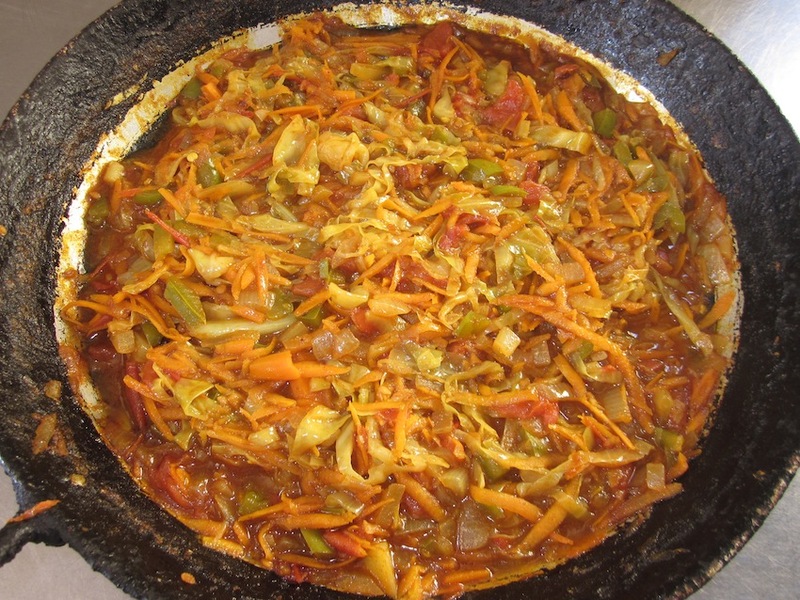 Chakalaka is a spicy relish that is served to compliment the pap/samp & beans and meat stew – it is usually spicy. Everyone has their own Chakalaka recipe and you even find it sold in cans in the supermarket here. Once you have done all the prep – you need a break to allow for some time for the meat stew to cook! 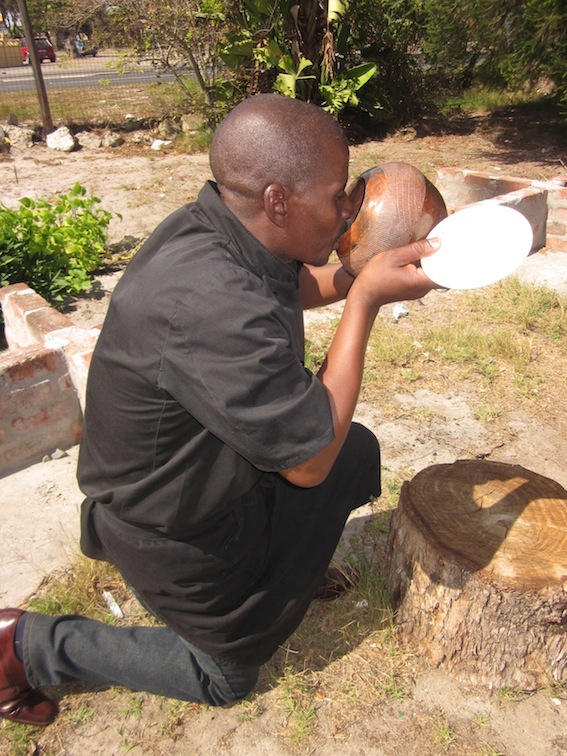 As such we head outside for a talk on the project, we learn about African traditions such as the local African beer made from maize and when it used traditionally. The local beer is always shared and as such we learn how to drink it and we share it among us. We also chat about how a Smiley is prepared and have the opportunity to taste one. 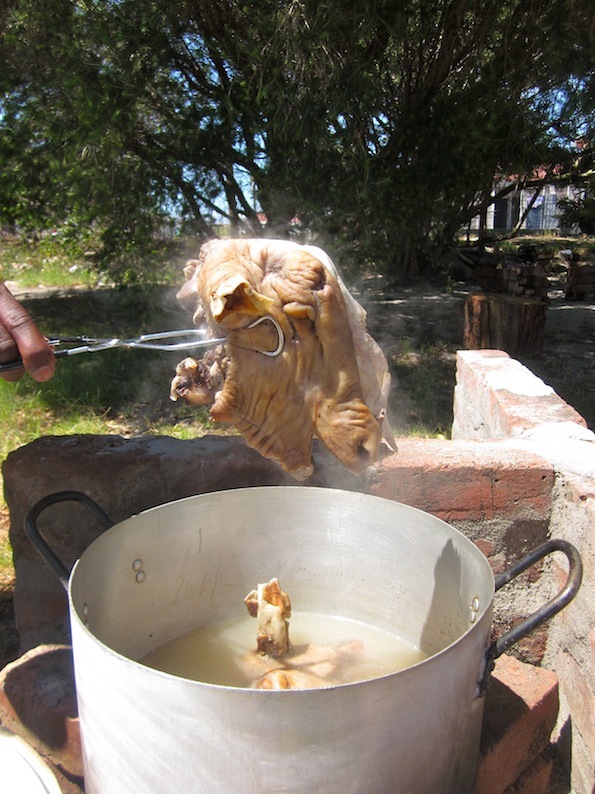 A Smiley is a traditional delicacy enjoyed by the Xhosa people – the sheeps head is firstly placed on the BBQ to burn off any hair, it is then placed in a pot above a coal fire hearth (known as an Eziko) and gently cooked until the meat is tender. It looks a little intimidating! But tastes delicious! It is called a Smiley as the lips curl up when the meat is ready! So it looks like it is smiling! We then enjoy the dishes you have prepared in the school. To read more about the school check out my blog by clicking here. Timing: 9am to 2pm. Monday to Saturday. The tour does not operate on a Sunday. We only offer private tours for all of our tours. Cost: The cost depends on the number of people and where you are staying – so please let us know this information when you book! It is a private tour – so the numbers booking affect the price! Click here for Mamma Lindy’s recipes. 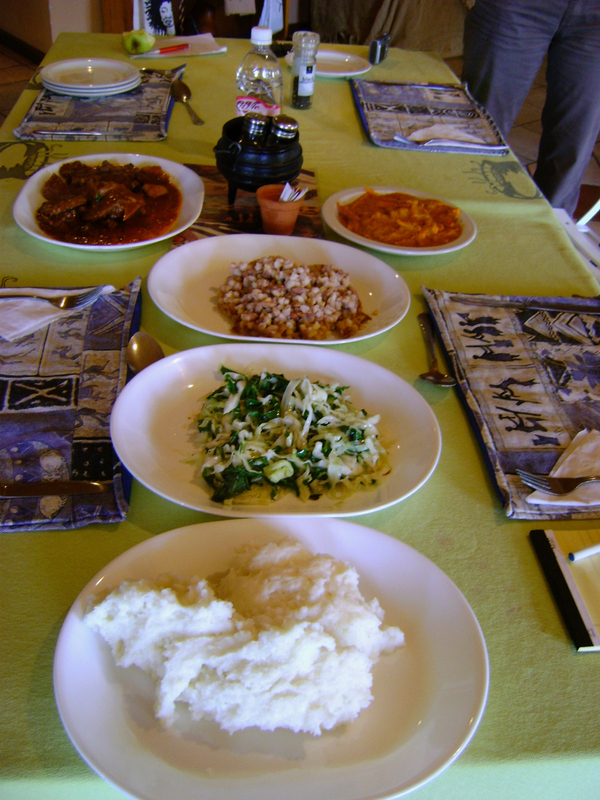 To read one of my old blogs on the African Cooking classes in Langa – check it out here. To read feedback from an American agent and her group who recently experienced the tour, check out the article that Pricilla from Global Sojourns wrote on her website.